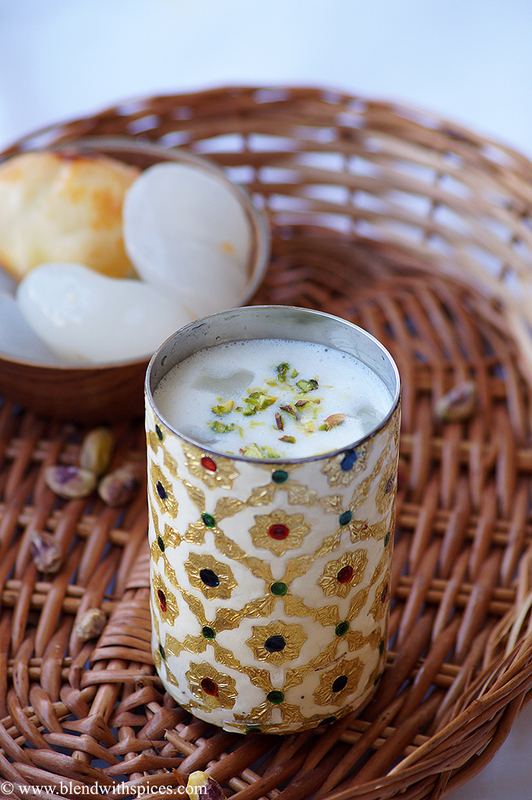 Nungu Paal Recipe – A healthy and refreshing summer drink made with toddy palm fruits and milk. 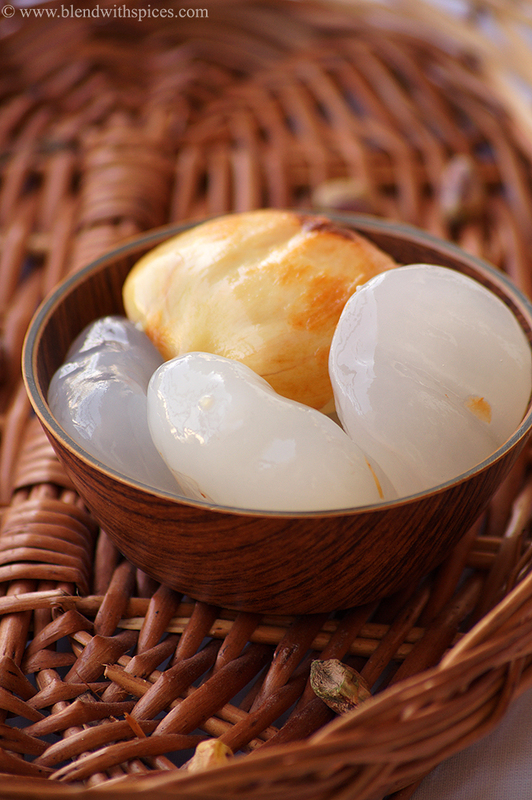 Tender Ice Apples / Taati Munjalu / Nungu / Toddy Palm Fruits are very popular and healthy summer fruits in South India. We can make many beverages and desserts recipes using these ice apples to beat the summer heat. I have already made Nungu Lemon Juice with these toddy palm fruits and today’s recipe is another drink recipe with milk and toddy palm fruits. 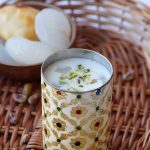 Refreshing and healthy summer cooler made with Ice Apple / Toddy Palm Seeds, milk and cardamom powder. Boil milk with sugar and let it cool completely. Wash two tender ice apples and remove the out skin. Chop one tender ice apple into pieces and keep it aside. Grind the another one into a smooth paste and add it to the cooled milk. Mix until well combined. Add the chopped tender ice apple and cardamom powder to and mix well. Add more sugar if required. Refrigerate it for some time and pour into glasses. Garnish with chopped pistachios or almonds and serve chilled. Best to beat the summer.. superb! !